Virtually everyone at one time or another experiences tinnitus. The American Tinnitus Association (ATA) www.ata.org is probably the best information resource on this topic. They report that more than 50 million Americans experience tinnitus. Tinnitus can be constant or intermittent. It can sometimes be noticeable mainly at night when it is quiet, and there are no other noises to “mask” or cover it. It can occur in one or both ears, or it can seem to be in a person’s head (not the ears). It can be very faint or incredibly loud. Often, people with tinnitus consider it a non-bothersome fact of life or only somewhat bothersome. Some other people find it annoying but can tolerate it. To a small percentage of sufferers, tinnitus can be experienced as tremendously stressful, upsetting, and even be debilitating. If you have any of the following symptoms relating to or in addition to your tinnitus, a consultation with your audiologist and/or physician or otolaryngologist (ENT physician) is recommended. If you see a doctor first, you will likely be referred to an audiologist for a complete audiological evaluation. The audiologist will help your physician rule out possible causes of your tinnitus. If you have hearing concerns and seek an audiological consultation first, your audiologist will contribute to determining whether your tinnitus complaints and other ear symptoms warrant referral to an ENT specialist. The exact mechanism by which tinnitus is produced is not entirely understood. Tinnitus is a symptom of whatever is causing it. It is not a disease in itself. Some causes of tinnitus can be treated immediately to improve the tinnitus. Sometimes earwax impaction or an ear infection is the culprit and when these problems are resolved, so is the tinnitus. There are many possible causes of tinnitus. It can be the result of subtle changes occurring anywhere in the auditory system or in related body systems that interact with the auditory system such as the nervous and vascular systems. What can be done for tinnitus depends on upon the cause? If it is due to a surgically correctable hearing loss, such as otosclerosis, the tinnitus may disappear once the surgery is performed. Pulsatile tinnitus, hearing your heartbeat, may come from something as simple as fluid in the middle ear to an abnormal connection from the inner ear to the brain cavity to blood vessel abnormalities in the brain. A one sided tinnitus may represent a benign tumor of the hearing and balance nerve. The majority of patients with tinnitus have an associated hearing loss. The hearing loss is similar to phantom limb syndrome, where a person having loss of a limb feels pain or other sensations in the absent limb. Avoiding certain medications such as aspirin or Motrin (ibuprofen) can help with tinnitus. Avoiding caffeinated drinks like coffee, tea, or soft drinks may alleviate tinnitus. Hearing aids – if the hearing aids can be utilized, they are useful in providing tinnitus relief in 65-85% of patients, especially if newer digital hearing aids are prescribed. Masking Noise – sound background stimulation such as music or tabletop devices, as a smartphone app, producing natural sounds such as waterfalls, the wind, or waves can make the tinnitus less noticeable. Tinnitus Retraining Therapy (TRT) – the goal of TRT are removed, decrease or alter the perception of tinnitus. The therapy takes 12-18months and has been found to be effective. Acoustic Desensitization Protocol – is a proprietary protocol by Neuromonics that has been shown to be effective in small, uncontrolled trials and company sponsored studies. Cognitive Behavioral Therapy (CBT) – CBT is a useful therapist-mediated technique that aids patients in habituating to tinnitus. Meta-analysis of 15 separate studies concluded CBT is effective in reducing the annoyance and distress of tinnitus. 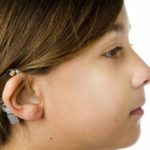 Cochlear Implants – some patients, with a profound hearing loss that hearing aids cannot help, will have relief from their tinnitus with a cochlear implant. Ginkgo biloba – some studies but not all studies have shown an extract, EGb761, to provide some benefit. B12 – in patients, low levels of B12, supplementing with B12 may provide benefit. Lipo-flavonoid and others have not been shown to be effective in relieving tinnitus. Anti-seizure medicine – Gabapentin has been shown to be effective in people whose tinnitus has resulted from noise trauma but not in randomly selected tinnitus suffers. Local anesthetics – infusion of lidocaine across the eardrum into the middle ear is useful but only for 20 minutes, making it impractical for the long term.